Fears that invisible toxins — in such tiny amounts they can barely even be measured — are everywhere and can cause brain damage or cancer in babies and children were reinforced this week by media and a medical journal. So great were the fears among parents, and so great were the political and financial impetus of the professionals behind them, that virtually no one breathed a word of the fact there was no science. In fact, not only were the over-the-top ideas scientifically implausible, for the scares to be true, every known law of science would have to be false. What were these new scares about? 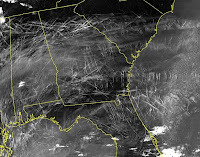 It is unfair of scientists and doctors to mock people who are terrified of Wi-Fi or who believe that chemtrails are spraying the world with invisible toxins that are harming them and their children, when these very same professionals spread similarly dubious scares. They fail the public, rather that adhere to the fundamentals of science and help consumers recognize myths from health risks that are real and things that are most important to help them protect themselves and keep their children safe. People who’ve become frightened experience real distress, and one has only to read the sad and hostile reactions to anyone trying to help them by explaining the science to know how difficult and unpopular such efforts become. Following the scientific process means the evidence doesn’t always take us where we might like to believe or to what is popular. So, this post probably won’t sit well with a lot of people, either. But hopefully, by following the scientific method, it will help readers see that not everything they hear in media is true and that science can help us realize that the world isn’t really such a scary place, after all. For those up for questioning the groupthink and learning together, let’s dig in. Digging into this story uncovered some things that even surprised me. Millions of Americans awoke Monday to the Today show and NBC chief medical editor, Dr. Nancy Snyderman telling parents about a new study she said showed that invisible toxins could be harming their children. Even if you don’t smoke around your children, she said, this study found that toxins from tobacco smoke can linger in the air, on hair and on clothing long afterwards that smoke. These toxins, she said can be absorbed by a baby or a small child and “we know” they’re a neurotoxin and damage your brain, she said. No longer is it enough to not expose children to smoking, but they must be kept away from smokers themselves or anywhere smokers have been. 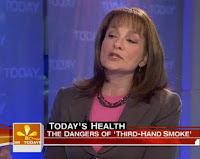 Viewers heard that this new danger, termed “third hand smoke,” had even been found to be associated with cognitive problems in kids. “Everybody has been on an elevator, and a smoker gets on and you can tell immediately who the smoker is, because you smell those toxins,” she said. “You are a walking toxic dump if you smoke.” It’s not enough to smoke outside, she said, you have to take off your clothes if you really want to have a safe child. To emphasize the purported danger of toxins lingering on clothes, Dr. Snyderman claimed that one of her siblings had merely hugged his daughter one night and she had an asthma attack. A study published this week… underscores the adverse health impact on children of what they call "third-hand smoke." … laws can have an effect in protecting children. But the effect is going to be largest when more and more people become aware of the hidden danger of third-hand smoke… Maybe now the stare will be one of recognition of the harm to which they are exposing their children. Parents who smoke often open a window or turn on a fan to clear the air for their children, but experts now have identified a related threat to children’s health that isn’t as easy to get rid of: third-hand smoke. That’s the term being used to describe the invisible yet toxic brew of gases and particles clinging to smokers’ hair and clothing, not to mention cushions and carpeting, that lingers long after second-hand smoke has cleared from a room. The residue includes heavy metals, carcinogens and even radioactive materials that young children can get on their hands and ingest, especially if they’re crawling or playing on the floor. What was this startling new medical research published in Pediatrics, the journal of the American Academy of Pediatrics? Those surveyed who stated they agreed or agreed strongly were categorized as believing third-hand smoke harmed the health of babies and children. As we know, polls and surveys are nothing more than a marketing technique to sway public opinion by eliciting the bandwagon effect and hoping we’ll get on board with whatever we’re told is what everyone else believes. Of course, group consensus is not scientific evidence and is one of the most common fallacies of logic. But people fall for it all the time. It turned out that this poll was no different. What consumers didn’t hear from reporters, was that it was conducted by the National Social Climate Survey of Tobacco Control, a special interest group working to legislate bans on tobacco (not surprisingly, heavily backed by the world’s largest pharmaceutical company of smoking cessation products). Support for its polls is largely provided by the American Academy of Pediatrics Julius B. Richmond Center of Excellence. The AAP Tobacco Consortium, which sets the group’s agenda, is chaired by Dr. Winickoff of Harvard and the lead author of this paper. The only other medical doctor among the authors of this paper was Susanne E. Tanski, M.D., also with the AAP Tobacco Consortium, as was sociology professor, Robert McMillen, Ph.D.
Denormalize. For those who don’t know what is meant by “denormalize,” it is exactly what fat people are experiencing in increasing intensity, as well as all those with physical characteristics, cultural differences or chronic diseases (actually primarily due to aging and genes) that can be condemned for not following some certain diet and lifestyle behavior. Denormalizing is a process of “stigmatizing people in everyday discourse and media representations, in a variety of overwhelmingly negative ways” to make them outcasts and create cultural change as a means for a nation to control behavior. Going back to the National Social Climate Survey of Tobacco Control survey, in past years these surveys had asked participants their beliefs about smoking itself and smoking in front of children. The 2005 survey was the first, and only one published to date, to ask about whether people believed there were health risks to exposures in cars or rooms where someone had smoked the day before. As we know, it’s easy to design a poll to reach any predetermined outcome. While we don’t know if the surveyors’ tones or comments might have influenced the responses in any way, it is easy to see how the questions themselves may have. Perceptions of a real danger grew in a crescendo as questions were presented. After being asked pages of questions about if they believed smoking was unhealthy, if they understood the health dangers of exposing children to smoke, if they thought children should be protected from seeing people smoke, if they thought children should be exposed to smoking in a vehicle or in homes, how often they rode in a car or truck with someone who was smoking, if they thought it was acceptable for parents to smoke in front of children, if they thought inhaling smoke from a parent’s cigarette harmed the health of babies and children, if they thought parents had a responsibility to protect children from smoke, if they thought it was acceptable for children to smoke, if they had strict rules in their household against smoking, if they thought babies and children should be tested for exposure to smoking by doctors, etc… by the time the question came up asking them if they agreed that “breathing air in a room [or car] where people had smoked yesterday could harm the health of babies and children,” who was going to risk saying no? Most participants likely already felt anxious and thought there must be some evidence of harm if the doctors were asking them about it. Few would want to appear stupid or to not care about children, either. So, while a poll on beliefs about the health risks surrounding third-hand smoked is not evidence, did the report of this poll in Pediatrics offer any evidence that third-hand smoke might be harmful, or that it even exists? What’s the evidence for third-hand smoke (THS)? This article in Pediatrics was not a clinical study, so it provided no original research that THS is an actual medical or scientific observable or definable entity, or that it has ever been shown to harm babies or children… or how such a thing might scientifically even be plausible. The closest study they offered for the existence of ‘residual contamination’ was a 2004 paper by co-author, professor Georg E. Matt, Ph.D., at the psychology department at San Diego State University in California. This small paper had compared the levels of nicotine in air and surfaces (without controlling for frequency of dusting, cleaning or vacuuming) in 17 nonsmoking homes compared to 17 homes with smokers, more than half of which had 2 or more smokers. These were homes of mothers on WIC in San Diego. The air monitor badges were placed within 2 feet of the floor and were left in the rooms to measure the levels of exposure over one week. In 13 of the smoking homes, 91.7% of the participants said they didn’t smoke inside the house, and two-thirds of those said they always closed the doors or window when someone smoked outside. The levels of nicotine in the air of outdoor smokers' living rooms were reported as 0.32 nanograms/m3 (at the level of detection) compared to 0.10 nanograms/m3 in nonsmokers'. (A nanogram is one billionth of a gram.) Only half the surfaces in the living rooms and bedrooms, and just over a third of the dust samples in the living rooms of the homes where smokers said they didn’t smoke inside, were even above the level of detection. 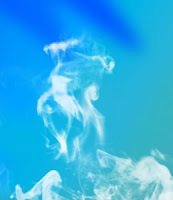 While the authors failed to explain the nicotine levels in the nonsmokers’ homes, they attributed the barely detectible levels in the outdoor smokers’ homes to “persistently high levels of tobacco toxins” due to off-gassing from their hair and clothes — rather than, perhaps, some of the smokers in the house or visitors may have smoked indoors and not told the authors. In an effort to put these tiny numbers into perspective, a 2002 study by the Roswell Park Cancer Institute and released by the American Cancer Society found nicotine levels in the air of bingo halls (where smoking was allowed, before smoking regulations) averaged 940 nonograms/8 hour shift and bars and taverns 539 nanograms/8 hours, with “Marlboro Night” cigarette promotions raising nicotine levels at bars to 814 nanograms over an 8 hour shift. Clearly, second hand smoke (exposure to smoke gases and particulates while a cigarette or cigar is being smoked) translates to considerably higher exposures than THS. Yet, it turns out, that a fair number of scientists debate whether second hand smoke exposure during childhood is harmful to long-term health. The world’s largest study ever done to examine the association between exposure to environmental tobacco smoke (ETS) and lung cancer was conducted by the International Agency for Research on Cancer in Lyon, France, and published in 1998 in the Journal of the National Cancer Institute. It included lung cancer patients up to 74 years of age, and a control group, in 12 centers from seven European countries, looking at cases of lung cancer and exposure to ETS. They found “no association between childhood exposure to ETS and lung cancer risk.” A nonstatistical difference was seen even among spouses of smokers and those who had regular exposures at work. Of added reassurance, they found that even that disappeared and there was “no detectable risk after cessation of exposure.” But this isn’t about second-hand smoke and it’s simple for concerned parents to avoid exposing children to second-hand smoke, so let’s move on. The AAP authors of the Pediatric article suggested dangers at exposure levels far below the levels of second-hand smoke — third-hand smoke exposures — even without regard to ventilation, the number of cigarettes parents smoked, or length of exposure. Any exposure at all, and at levels barely detectable with modern instrumentation, is now being suggested as able to cause cancer and brain damage in children. This turns everything that science knows about toxicology on its head and denies the most fundamental law: that the dose makes the poison. Exposures themselves are not equivalent to harm, of course. The AAP authors cited only one study to suggest that exposures to low-levels of tobacco smoke might harm children — one reporting an association with reduced cognitive function (reading scores) in children. Of course, I had to look it up. This study, published in a 2005 issue of Environmental Health Perspectives, was led by pediatrician Kimberly Yolton, Ph.D., at Cincinnati Children’s Hospital Medical Center in Ohio. Using data from the Third National Health and Nutrition Examination Survey (NHANES III), conducted from 1988 to 1994, they collected the levels of cotinine in children 6-16 years of age. Cotinine is a metabolite of nicotine and a biomarker for exposure to tobacco smoke. The kids also had two subtests of the Wide Range Achievement Test–Revised, which tested letter recognition and word reading, and simple math problems; and two subtests of the Wechsler Intelligence Scale for Children–III, the block subtest assessed visual geometric modeling, and the digit span subtest assessed short-term and working memory using repetition of long number sequences. The math, block design and digit span results were not linearly related to cotinine levels (no dose response), only reading scores differed 7.54 points between the lowest and highest cotinine levels. But these are correlations and provide no evidence of causation. What was most obvious was that children with the higher reading scores came from parents with higher levels of education, more likely to be married, and to have higher household incomes. The children with the higher reading scores were also more likely to have had higher birthweights (>2500 grams). Cotinine levels were consistently inversely related to all of these variables. In other words, children who started out healthier and were more likely to have had educational opportunities, had slightly better reading scores. Smoking exposure was a marker for other confounding factors among these children. But, not only did professor Yolton and colleagues not factor for socio-economic and educational levels of the parents, they didn’t consider or measure the cognitive scores of the parents — in other words, they didn’t rule out the more plausible explanations that the kid’s reading scores most related to inherited aptitudes, as well as opportunities for reading and learning among those from wealthier households and more-educated parents. This study also failed to control for prenatal exposure to cigarettes (the mothers who smoked during pregnancy), another marker of socio-economic status. In fact, providing further support that ETS exposures, themselves, had little role was that when the prenatal exposures were separated from exposures to smoking after birth, the correlations between ETS and reading scores dropped by a third. In other words, there is no credible medical evidence to support the suggestion that trace exposures lingering in the air or on clothing are harming children. Like me, though, you might wonder if it’s possible for smoke guck to settle to the floor and be picked up by a crawling toddler in sufficient amounts to hurt them. Assuming their parents never vacuum or mop their floors, of course. You might also wonder what on earth the New York Times writer was referring to when she described THS as exposing babies and children to a “highly radioactive carcinogen” that was used to murder a former Russian spy! This is another example of a reporter simply parroting a press release, more interested in the political message and creating sensational copy, than taking a few moments to responsibly check the facts. The “highly radioactive carcinogen” she was referring to is polonium-210. Polonium is a radioactive element discovered by Marie Curie and Pierre Curie in 1898 that is naturally occurring and widely distributed in small amounts across the earth’s crust. As the International Atomic Energy Agency explains, it is present throughout the atmosphere and can settle on all broad-leaved vegetables. Yes, according to the Environmental Science Division of Argonne National Laboratory with the U.S. Dept. of Energy, it is in our food and water. More than 75% of our exposure comes from food (think healthy leafy green vegetables). Our average diet naturally includes 1 to 10 picocuries (billionth of a curie) of polonium-210 a day. Most (50-90%) leaves the body promptly in our stool and the rest decreases in our body with a half-time of 50 days. It naturally settles on those broad tobacco plant leaves, too. A smoker who smokes a pack of 20 cigarettes a day takes in about 0.72 picocuries of polonium-210. To put these numbers into perspective, that Russian spy, Litvinenko, is believed to have been exposed to 5,000,000,000 picocuries (5 millicuries). As is the fundamental principle of toxicology, the dose makes the poison. Other elements in "third-hand smoke" might be somewhat more concentrated, but still nothing that wouldn't demand thousands of years of assiduous tongue-licking. To terrorize parents with such nonsense is nothing more than rank yellow journalism. The Times should be ashamed of itself. In an entertaining and insightful opinion piece for the Daily Mail, Tom Utley, a smoker, described why scare tactics like these, that are such obvious hoaxes, actually undermine the effectiveness of efforts to reduce smoking and exposures to children. No one is arguing that smoking is not a healthful habit or would encourage young people to take up smoking, but he “most vehemently challenge[d] Dr. Winickoff's right to dress up this insulting, scaremongering, palpable drivel as science.” Creating bogus dangers from any exposure at all could actually result in greater harm to children, he said. If smokers think that it makes no difference if they go outside to smoke because anything they do short of decontamination will still expose their children to toxins, then they could stop bothering to even smoke outside, and expose their kids to even more smoke. This is one of the most egregious examples of the increasingly common and unethical practice of politicizing science and using a “study” to advance an agenda and needlessly scaring parents and children. It’s yet another example of a biased media failing to do its job. Neither is in the interests of the facts or truth. And someone will believe it and report it as news.